I love me some Nicole Richie. I think she's amazing. Back in The Simple Life days I watched the show religiously (I still know most of the lines...shh!). In fact, I even have the DVDs and had my friends hooked on it as well. Nicole made the show. The outrageous comments she would make were priceless. Yes, the show was probably scripted. But that just means she's a great comedian with an impeccable ability to say the wrong things as the exact wrong moment, making it so right. Although I liked her fashion a decade ago, as well as her weight, she's certainly a stylista now. While I am not much of a 70s type of gal, Nicole is and it suits her well. Although, I will say that I adore her Winter Kate line and she may convert me. That's why I am drawing inspiration from her for a party I am attending this weekend. My friend is turning 30 and celebrating with a 70s theme at a roller rink. I'm pretty sure my outfit won't be as "groovy" as the others, but it may be "far out"...as in far out of the genre we're expected to wear! Today I am linking up with Kori of Blonde Episodes. If you have a fashion related post, you should do the same! 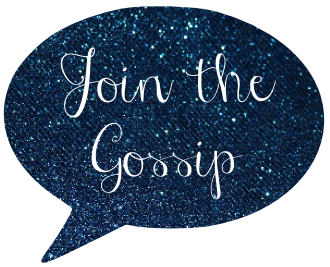 It's a great way to meet other bloggers. Love her style! I kinda dress 70's, so I love everything she is wearing in these pictures! LOVE HER STYLE!! Looks so good on her. I personally am obsessed with flare jeans so I think you should totally rock a pair for the party! I love the hair scarves! Ditto about The Simple Life. My GBFF and I still sing "Saaalsaaa-saalsaa-saal-sa-sa--saaalsa..."
I love her so much. These pictures are great! Have a blast at the party! It sounds like fun. Love Nicole and wish I could afford more Winter Kate and House of Harlow. My fave looks of hers were def her 70s looks when she was being styled by Rachel Zoe. 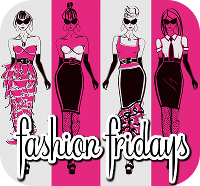 Great fashion friday post! She is so effortlessly stylish! I agree that flares would be a good idea, anything more flowy would be unsafe on in the rink. Maybe a cute headscarf too. I love her house of harlow jewelry! Nicole definitely has her own unique style! It's funny...I grew up in the 70s, so for a long time, I didn't want to re-visit any of the fashions. But now I really like a lot of them! She's so boho chic -- and always looks pretty and unique! Nicole's style is one of my favorites!!! Love her!!! I've always loved Nicole and her style! I wish I could pull of the boho chic look! I also don't wear these bohemian stuff but I love her style and her collections. I am a huge fan of all things vintage so I love her style!!! I love Nicole's style although I don't think I could pull of the bohemian look she does so well. She always looks so comfy. Yes...her style has definitely evolved and she has perfected the boho chic look for sure- and it most definitely suits her. I would say grab your favorite scarf and tie it into your hair like she has in the above photo...INSTANT 70's glam without being a budget buster. i never get tired of nicole outfit posts! Great choice for Fashion Friday and she completely pulls off 70s style effortlessly. I was also a big fan of The Simple Life and I think she's as funny as she is beautiful. I would totally rock the outfit in the 2nd pic, especially that turquoise Balenciaga bag! The roller rink b'day party sounds like a blast and I hope you had fun. P.S. I owe you and email now and I am SO sorry that I'm just now catching up. Forgive me!